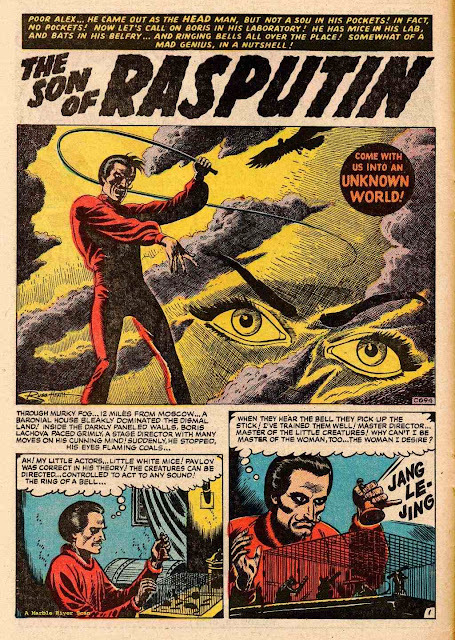 This guy's name alone makes him interesting! 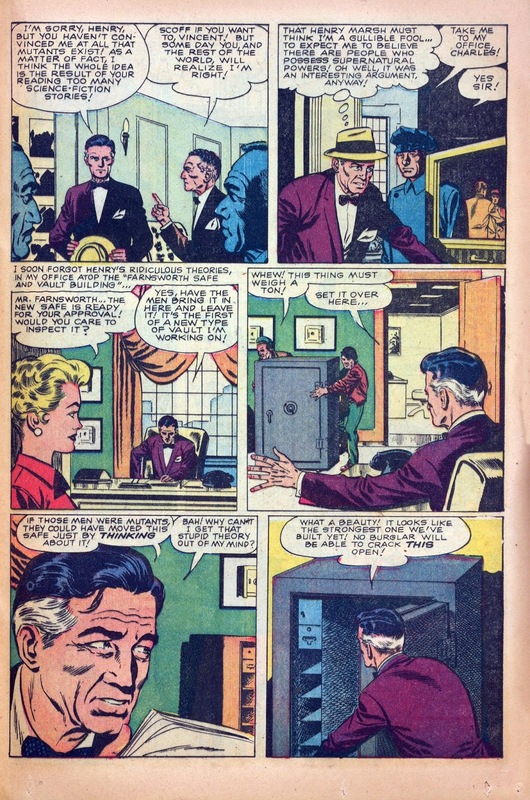 Several years before the X-Men (or even the Fantastic Four) and yet here we see mutants at Marvel! 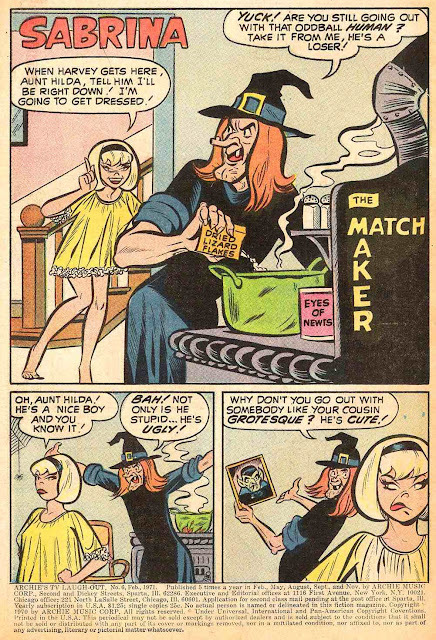 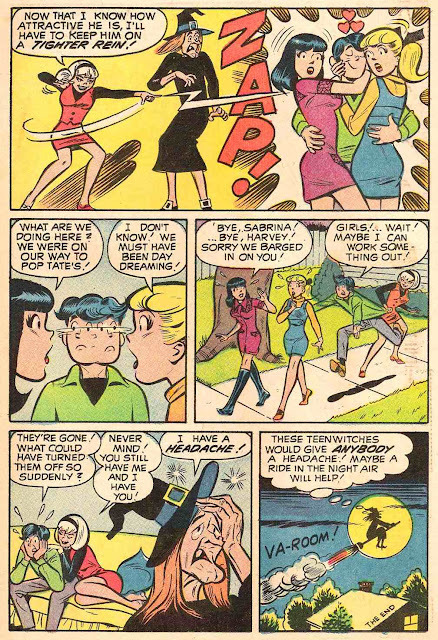 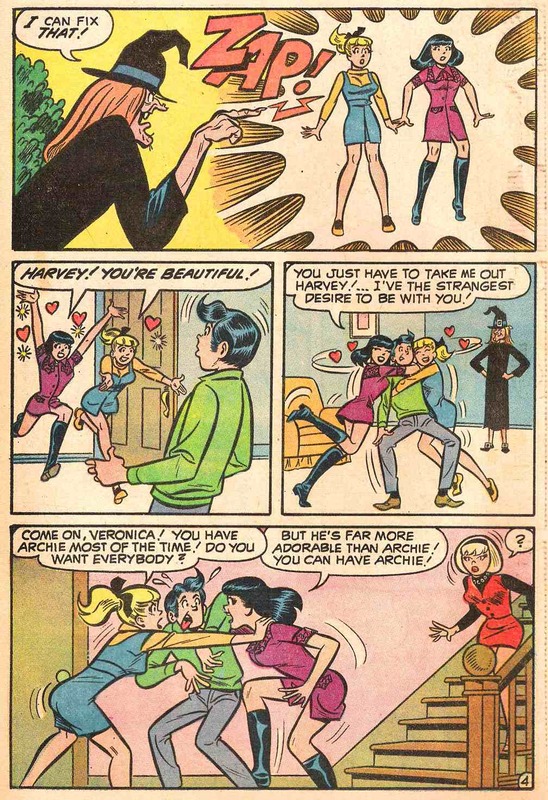 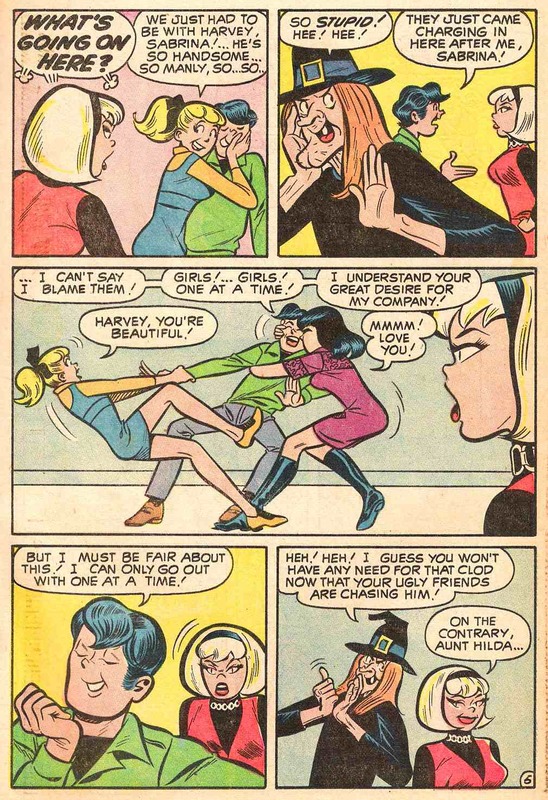 Over time, I've come to appreciate Harry Lucey as my favorite Archie artist, particularly when it comes to Betty and Veronica. 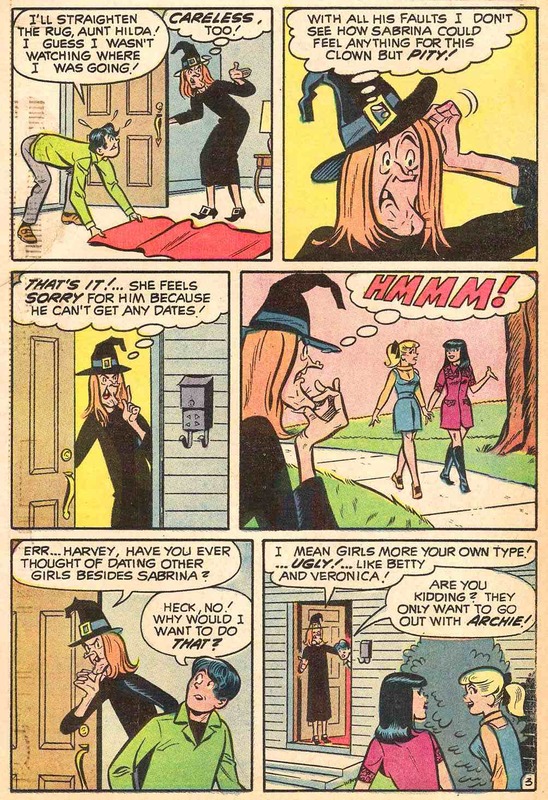 His take on Sabrina (here without her subtitle) is a bit...well...unique. 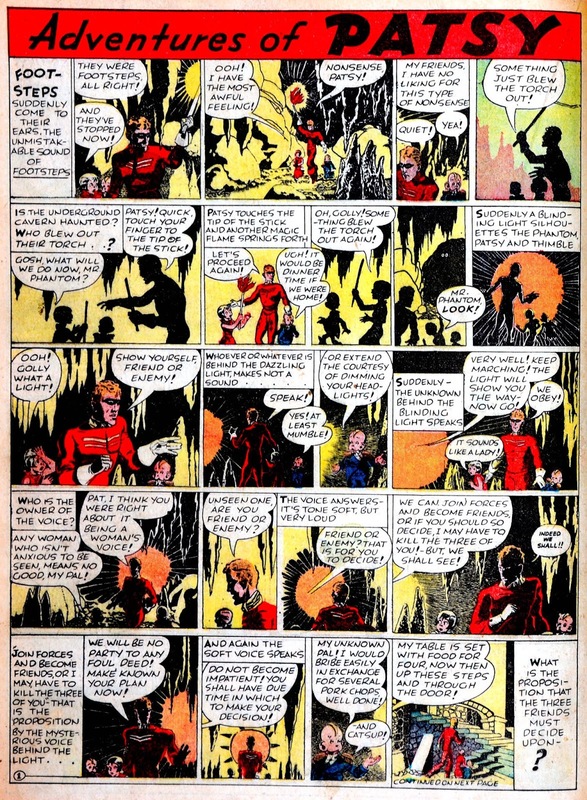 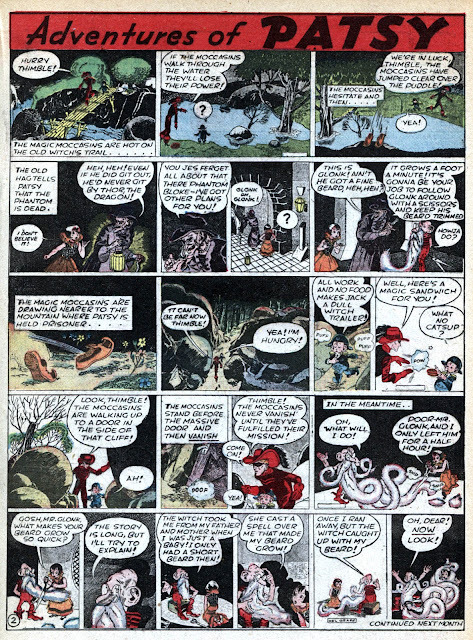 As the pages of the so-called "Spirit Section" continued to shrink throughout its existence, leaving room for only one more page after the 7 page Spirit story, Eisner's assistant Jules Feiffer created CLIFFORD, which always reminded me of A Kurtzman-style strip! At least one CLIFFORD collection was published in the '90s. 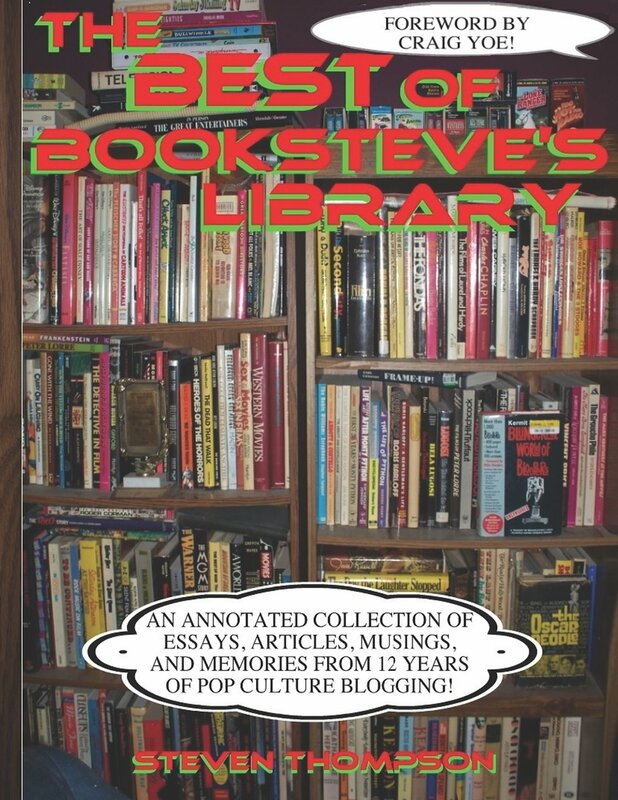 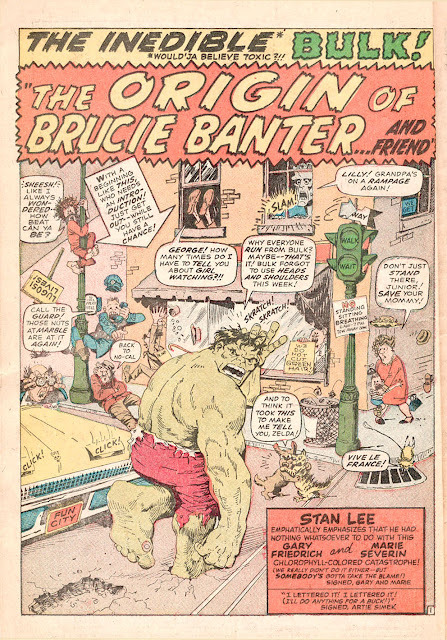 One of the true masters of the medium for more than half a century. 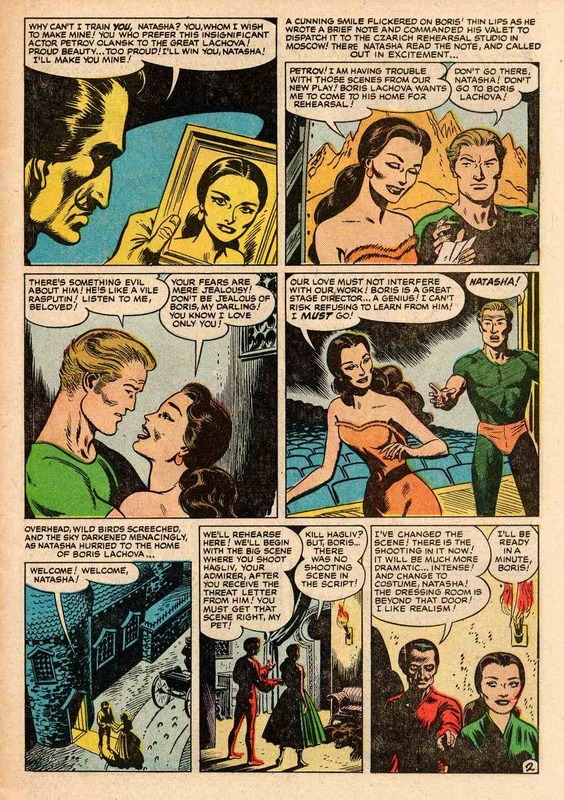 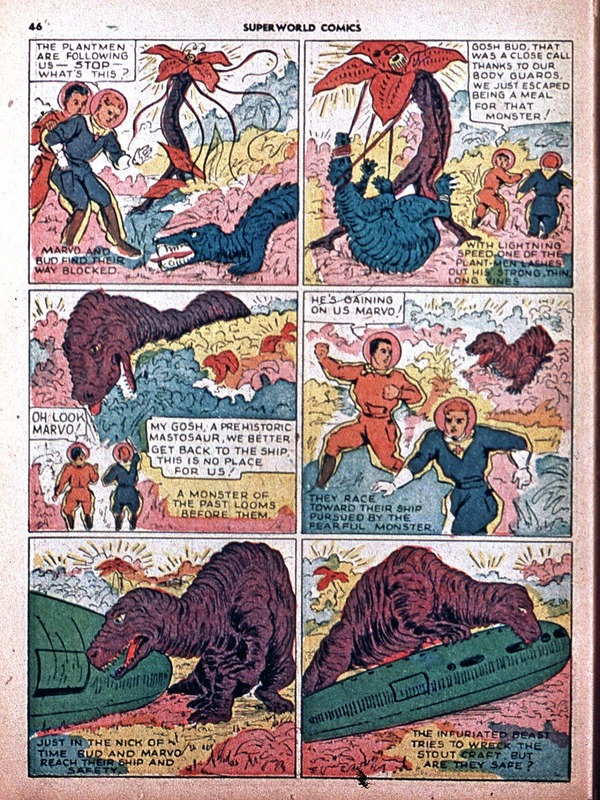 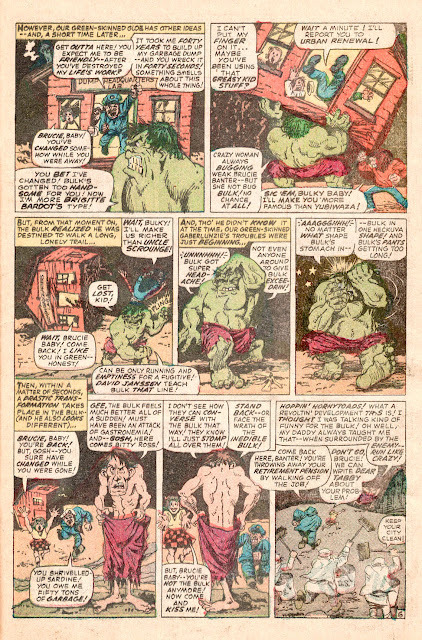 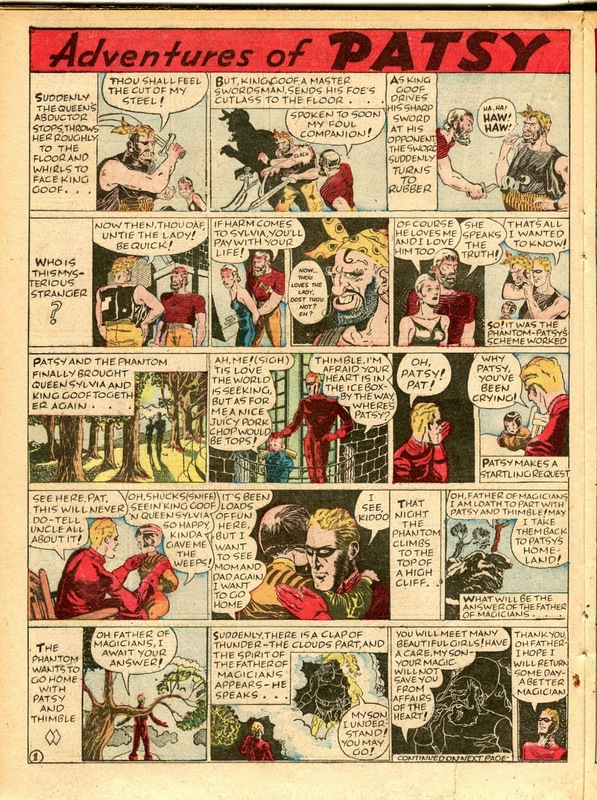 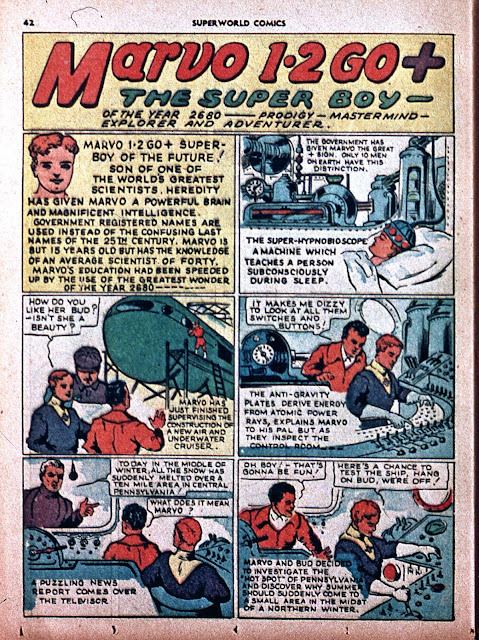 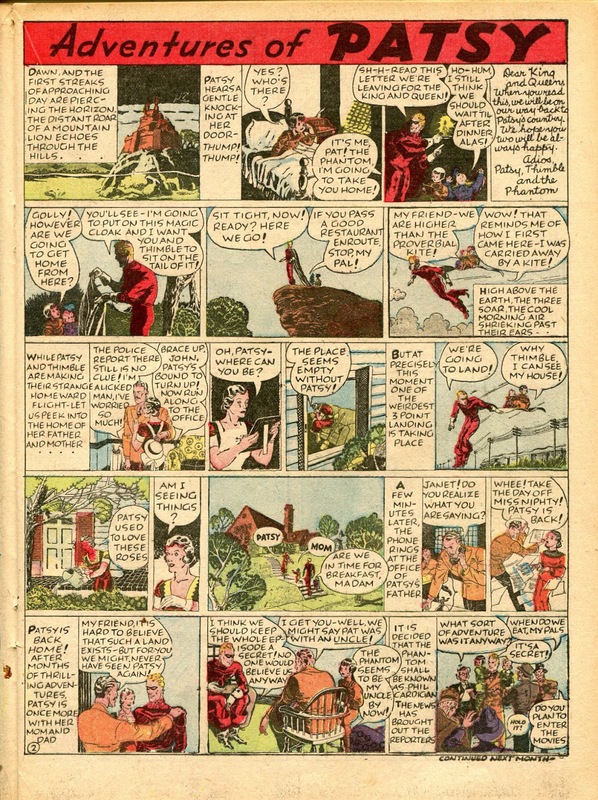 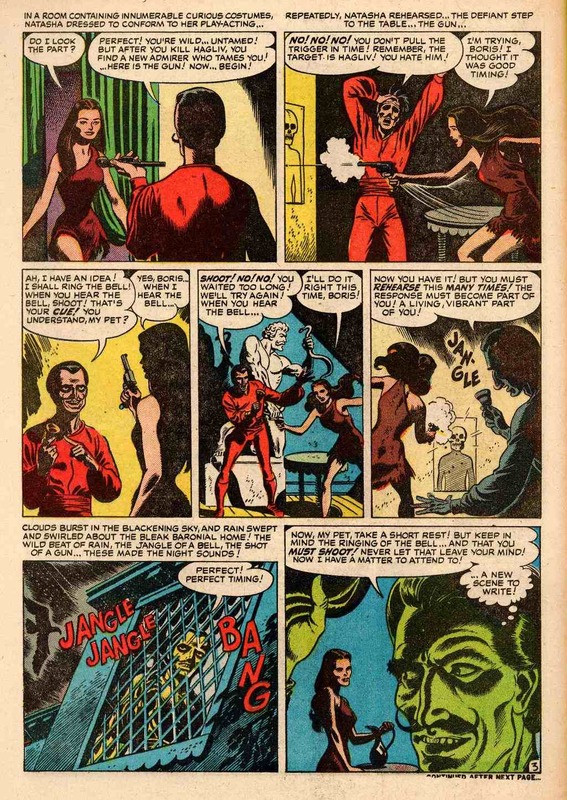 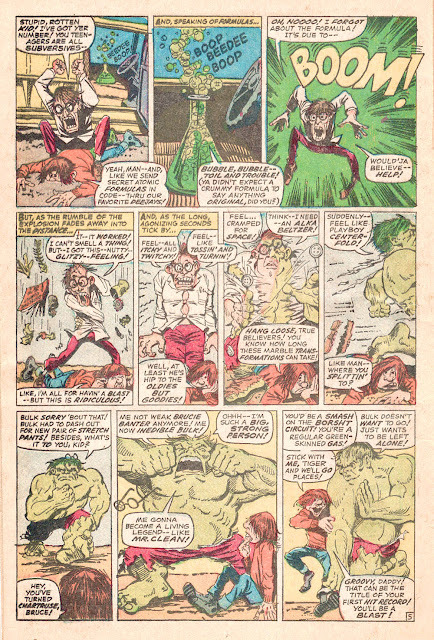 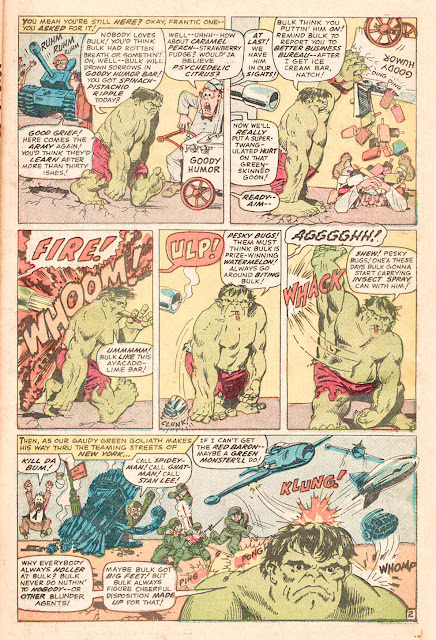 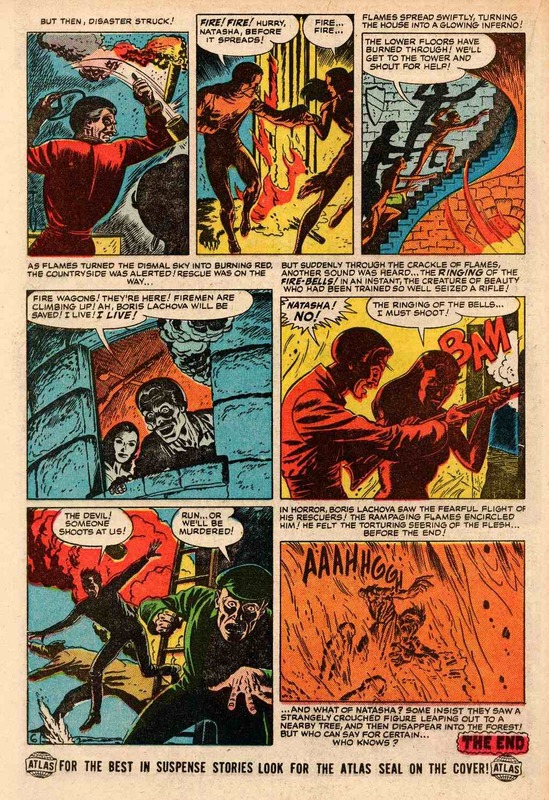 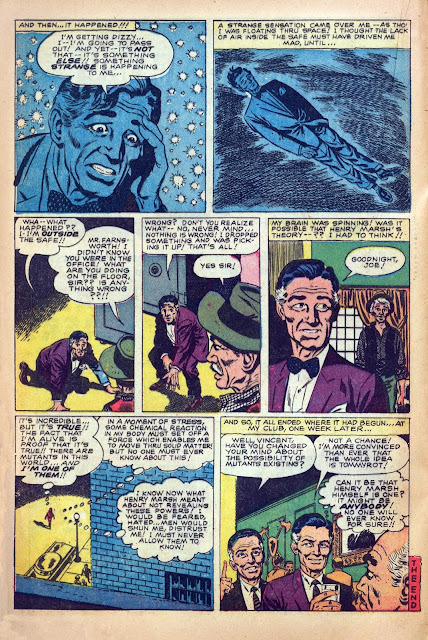 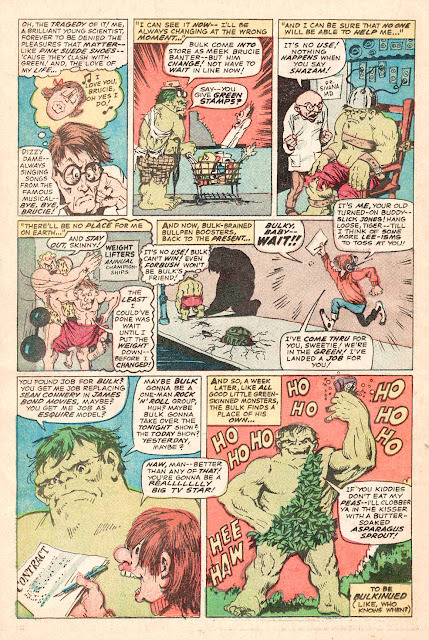 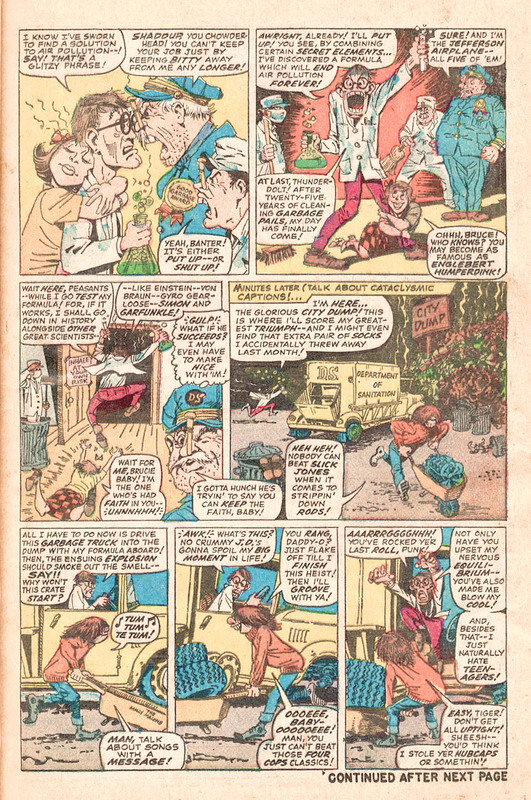 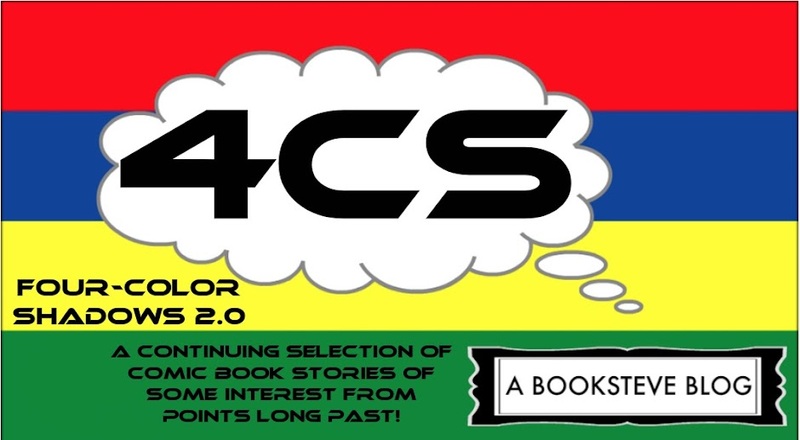 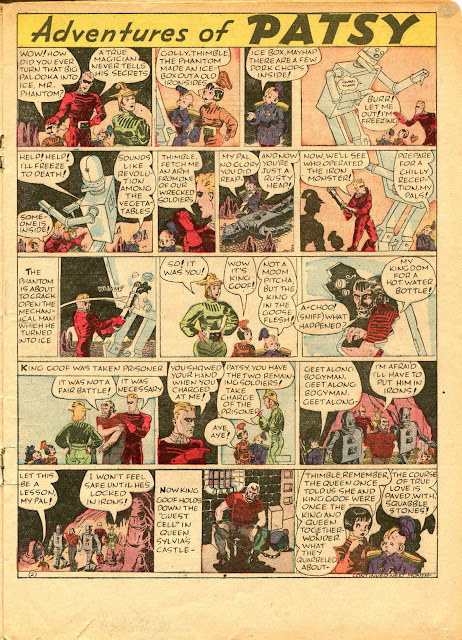 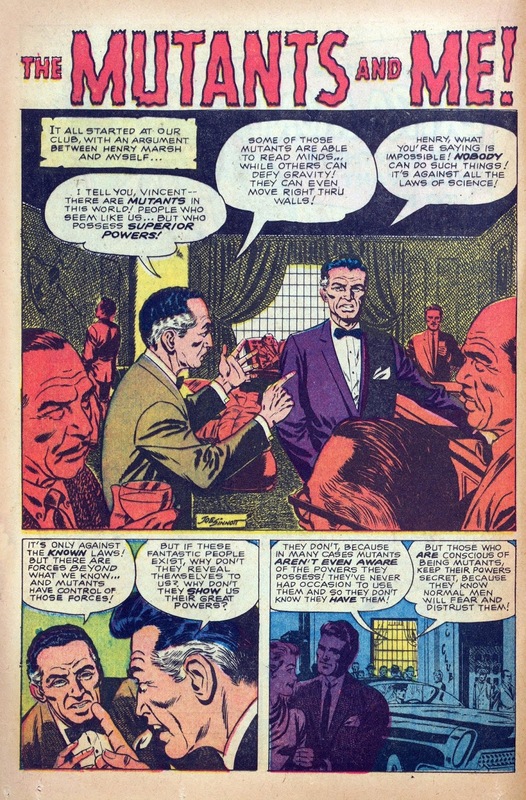 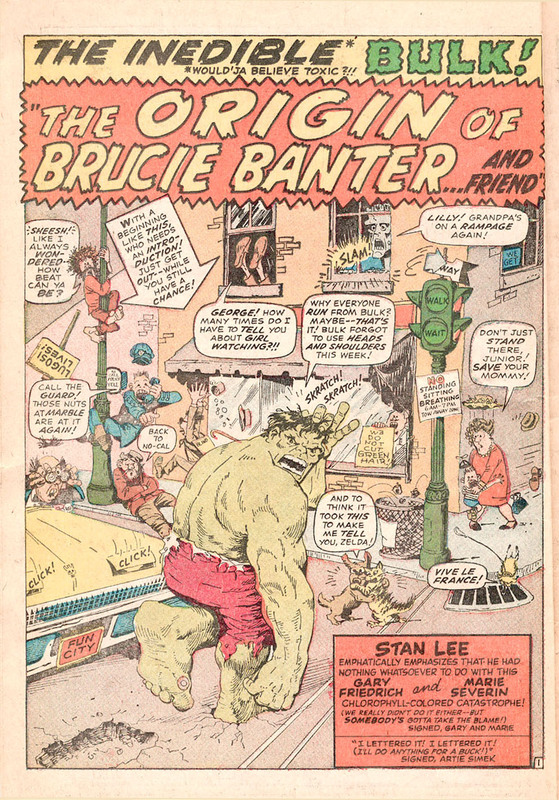 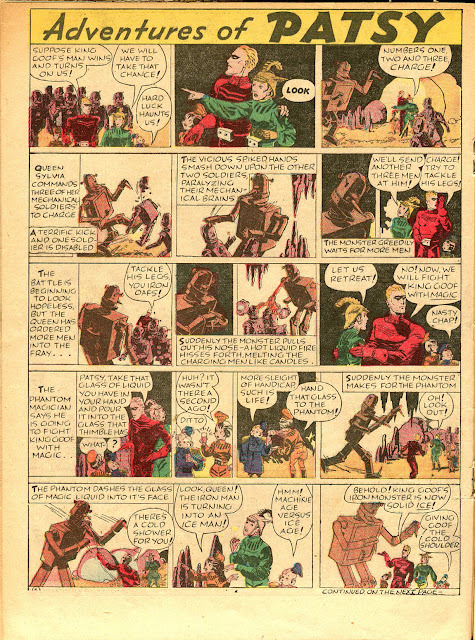 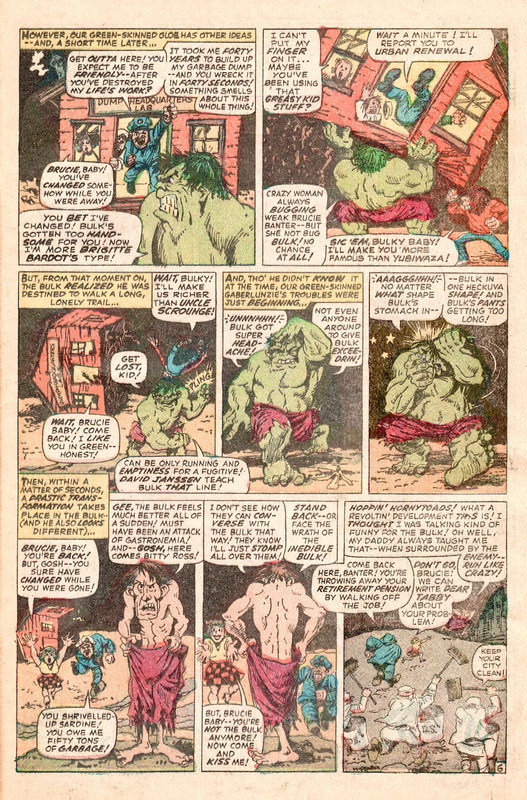 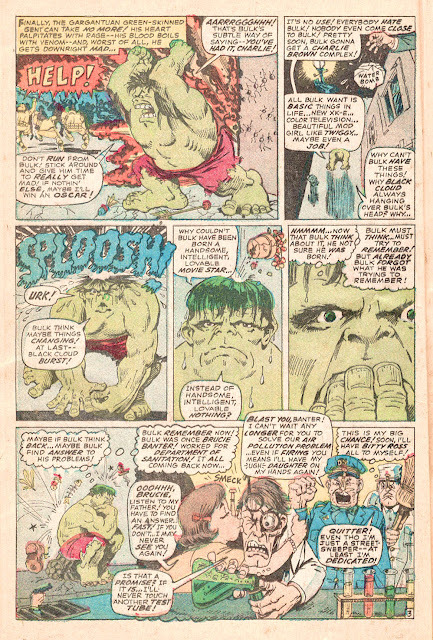 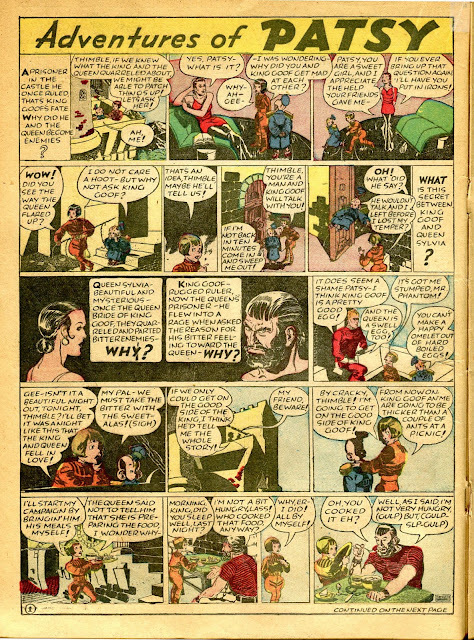 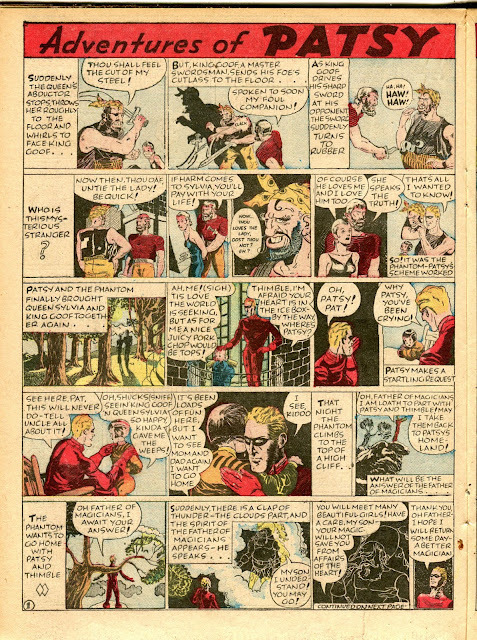 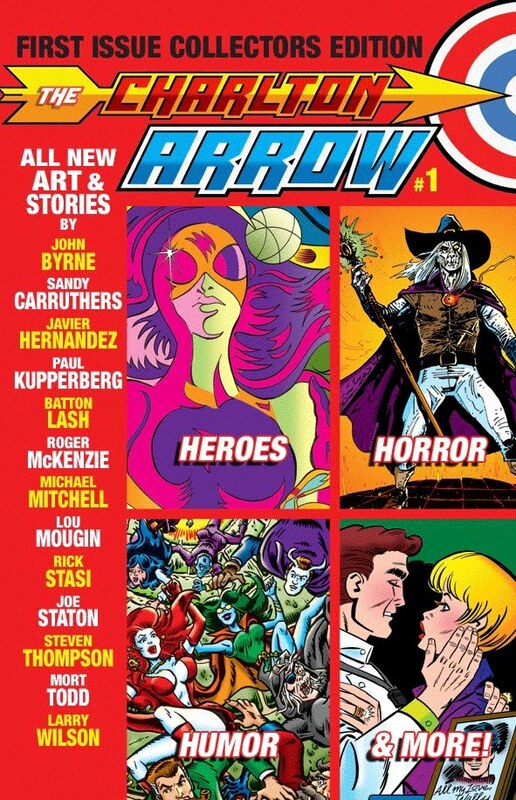 A long one today but this just MIGHT be the very first superhero comic book story of all! 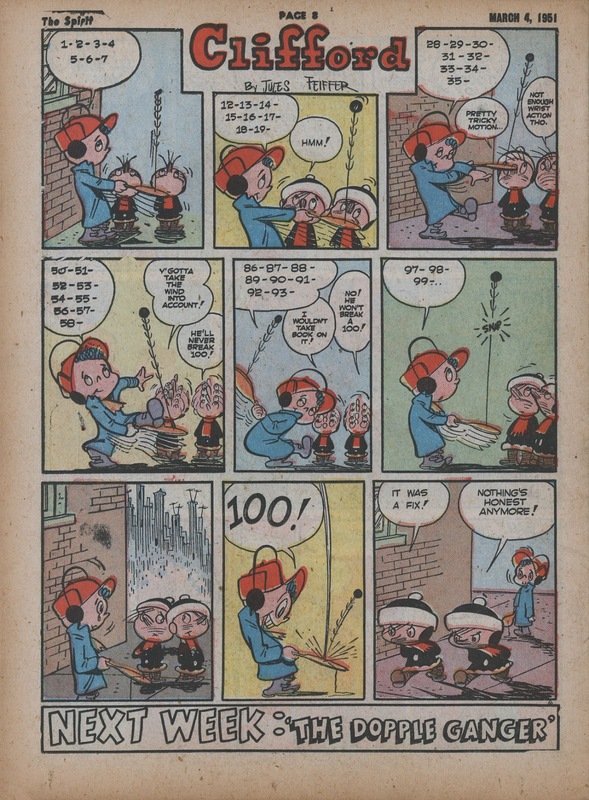 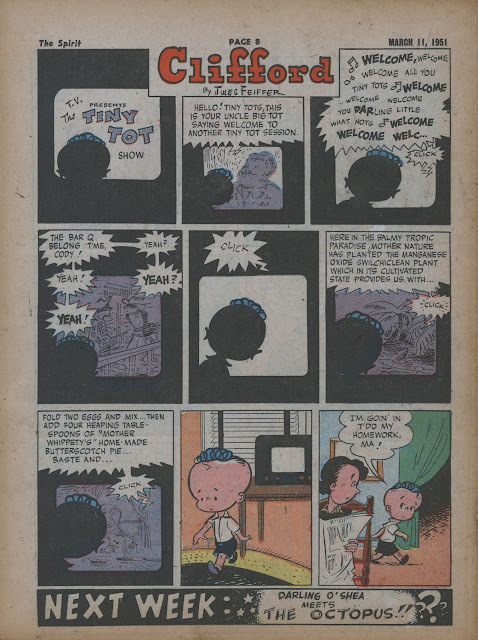 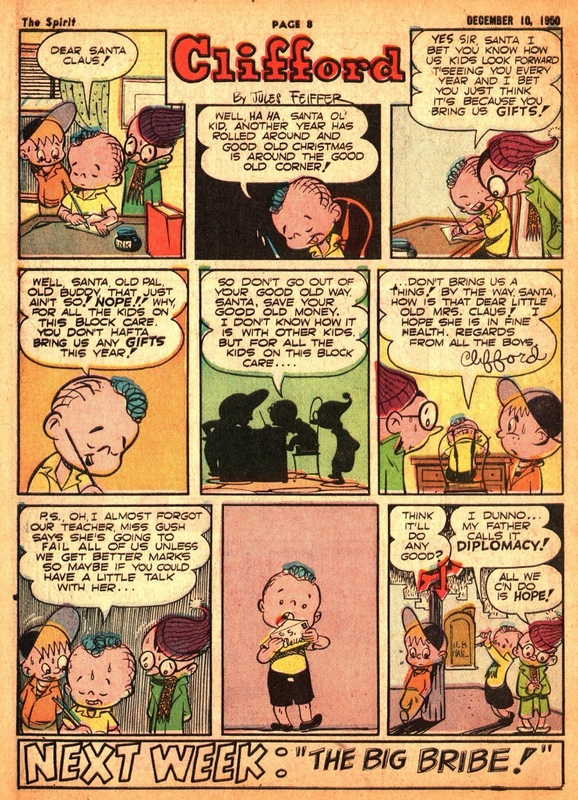 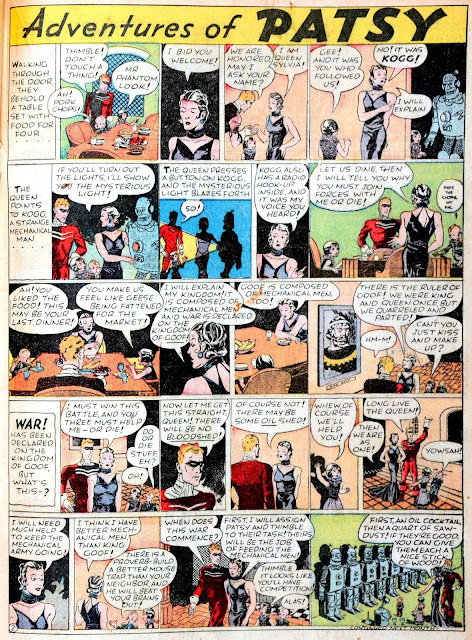 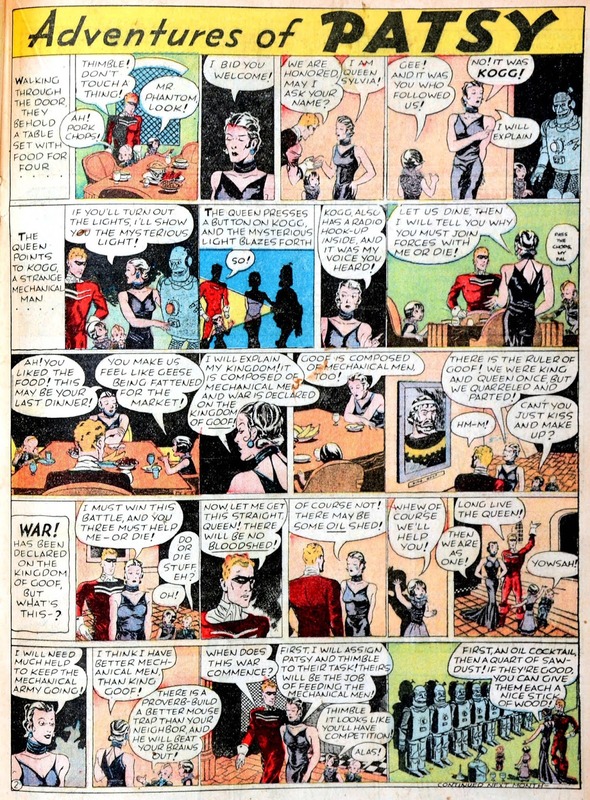 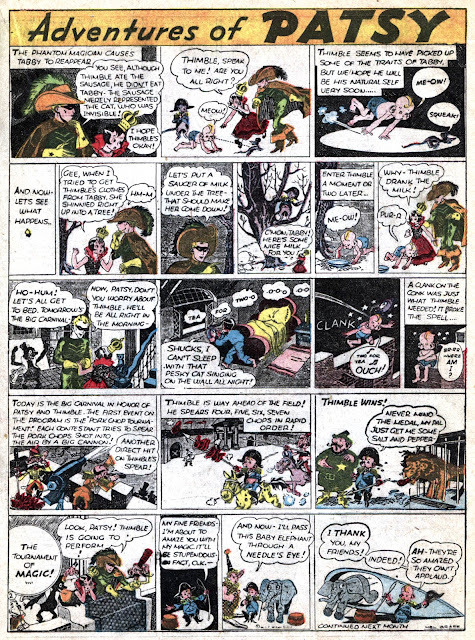 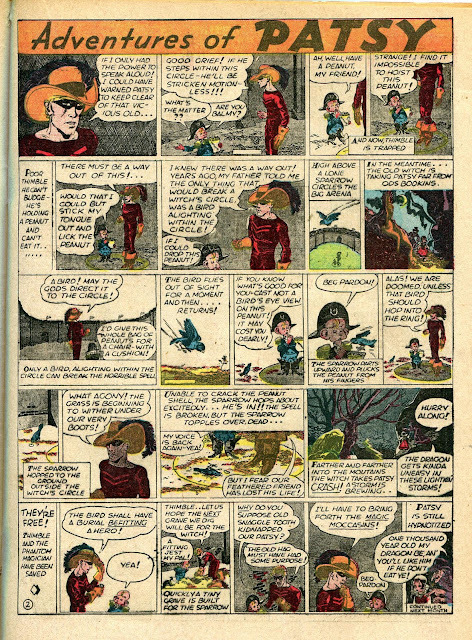 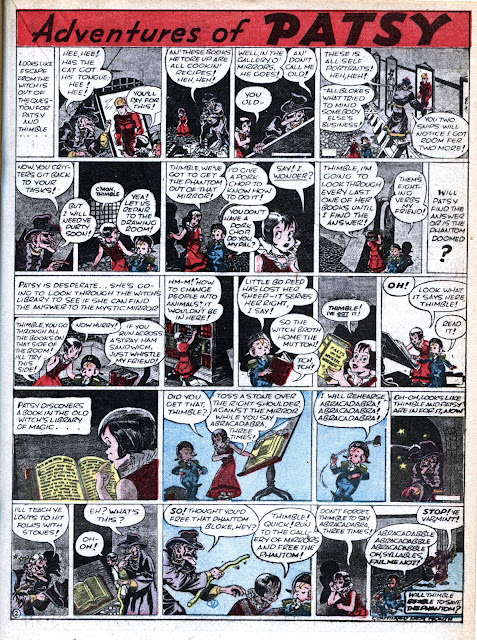 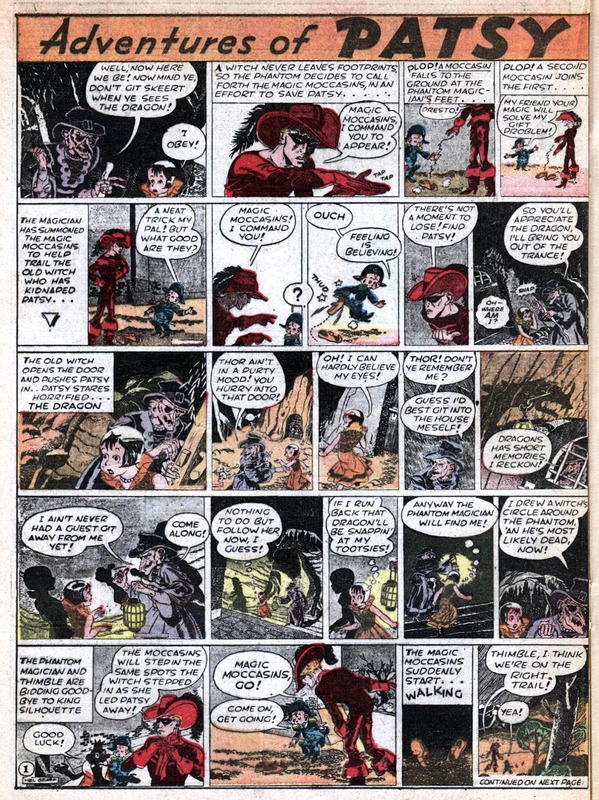 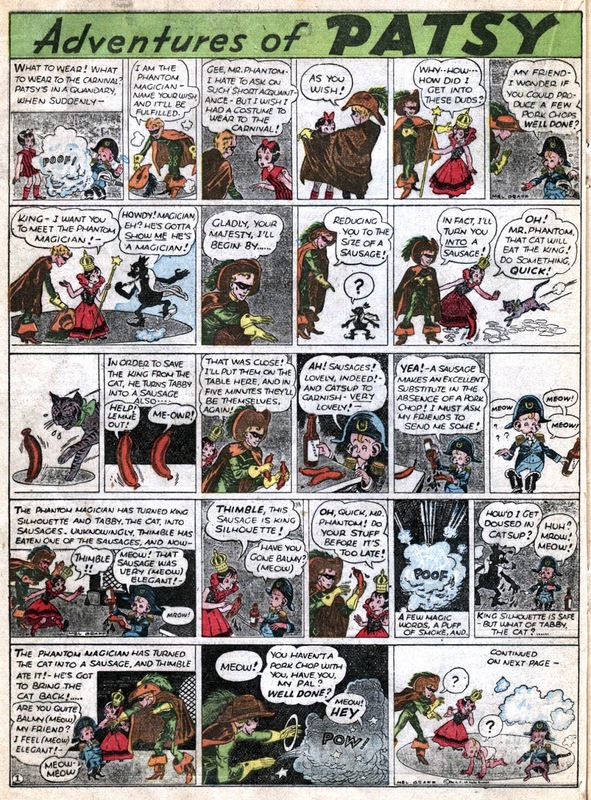 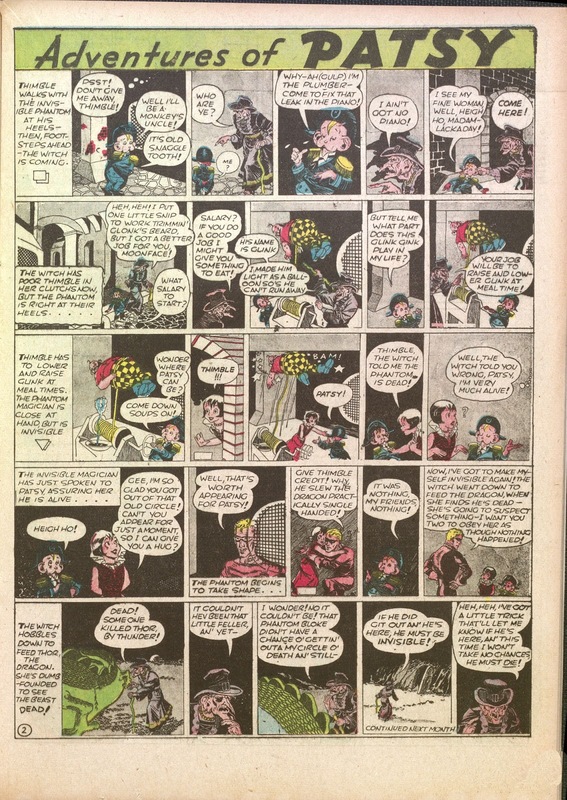 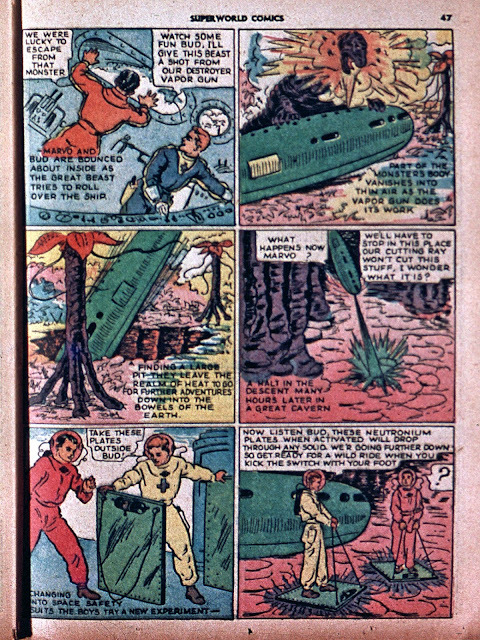 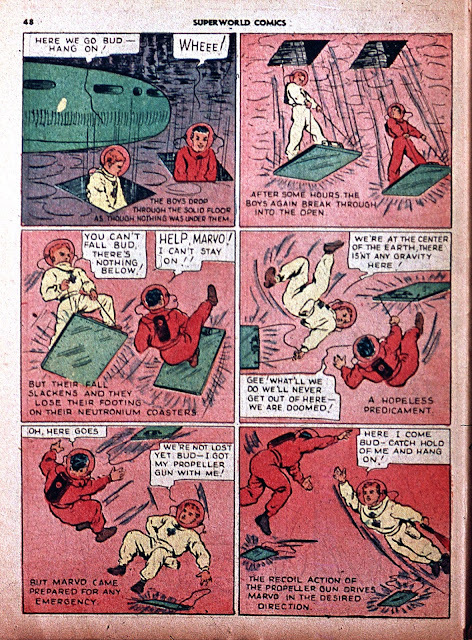 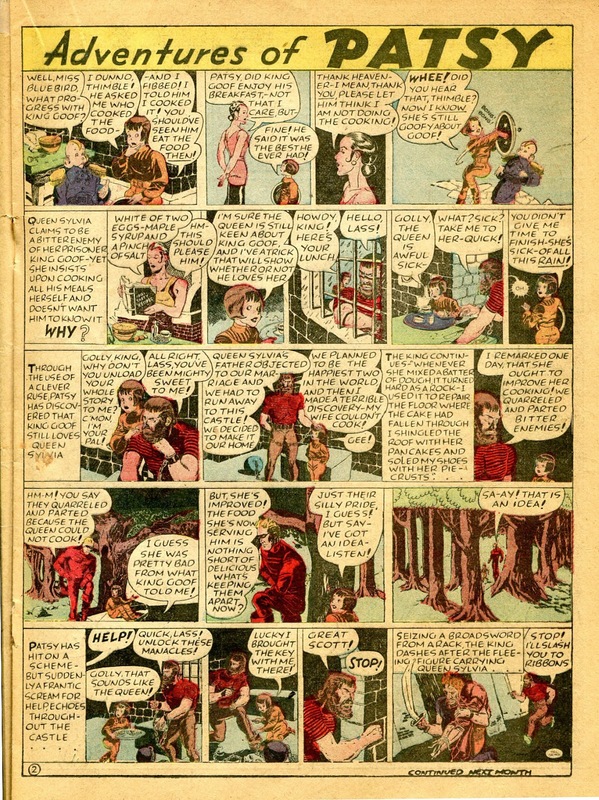 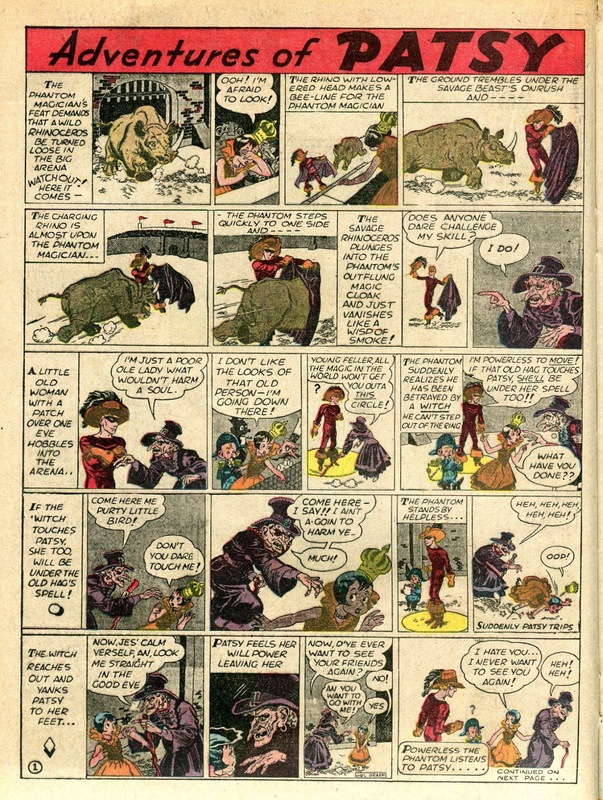 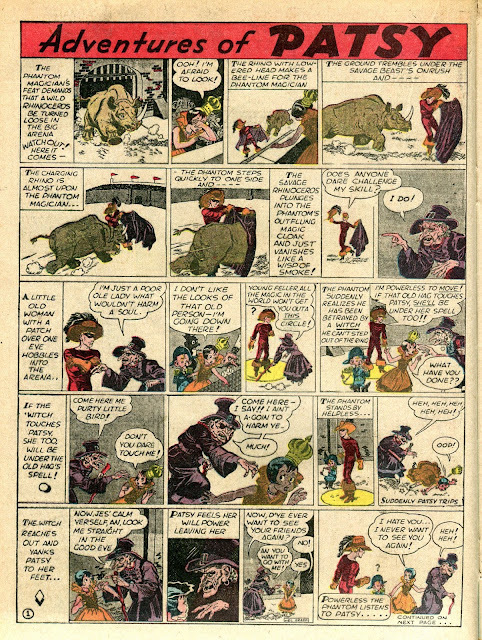 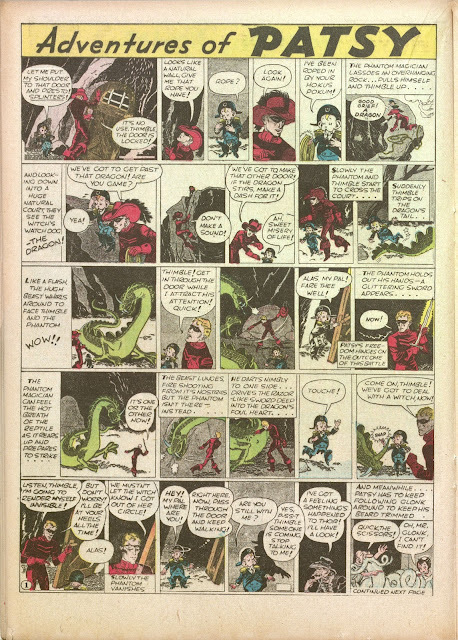 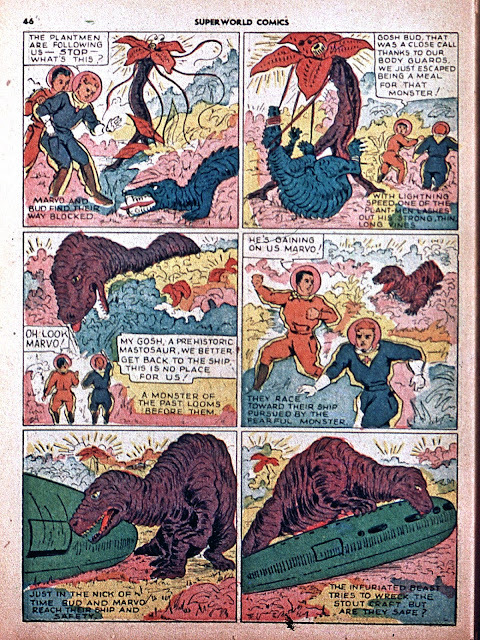 THE ADVENTURES OF PATSY was a fairly newspaper strip about a little girl and her family in Hollywood. Only in the beginning, it was something very different! 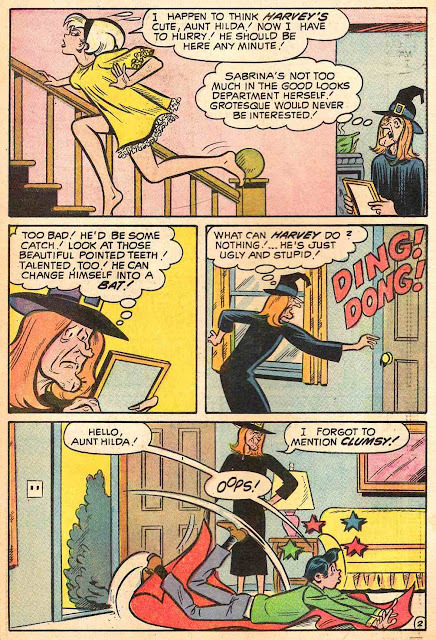 Patsy's lost in a fairy tale land with some scary menace but her sidekicks include The Phantom Magician! 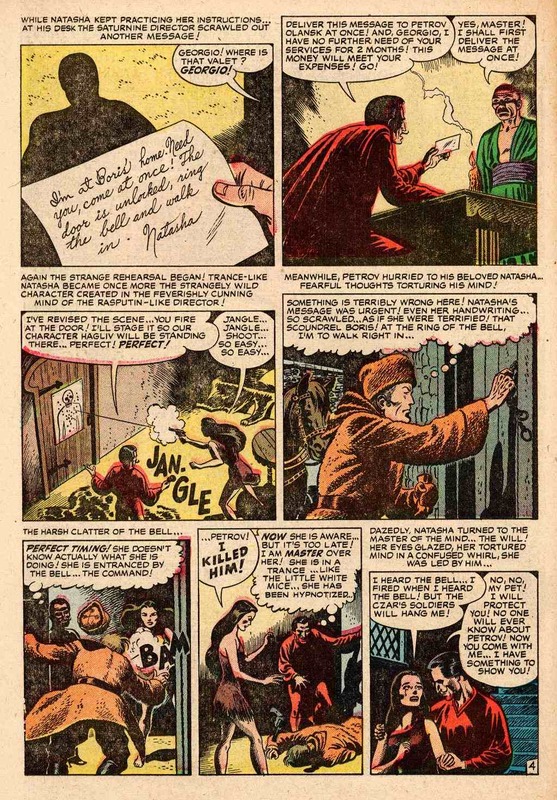 Bill Blackbeard famously made the case for Popeye to be the first superhero of them all but this guy has the suit, the emblem,the cape (sometimes) and even a mask! 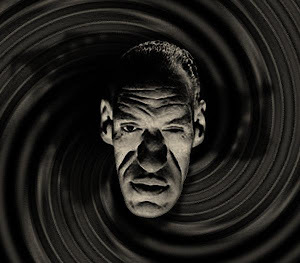 Certainly more the traditional comic book hero than Popeye. 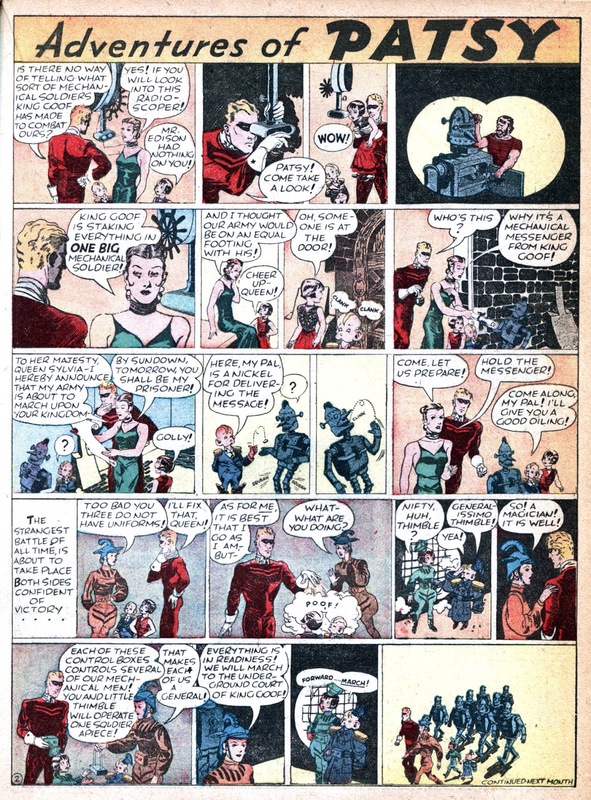 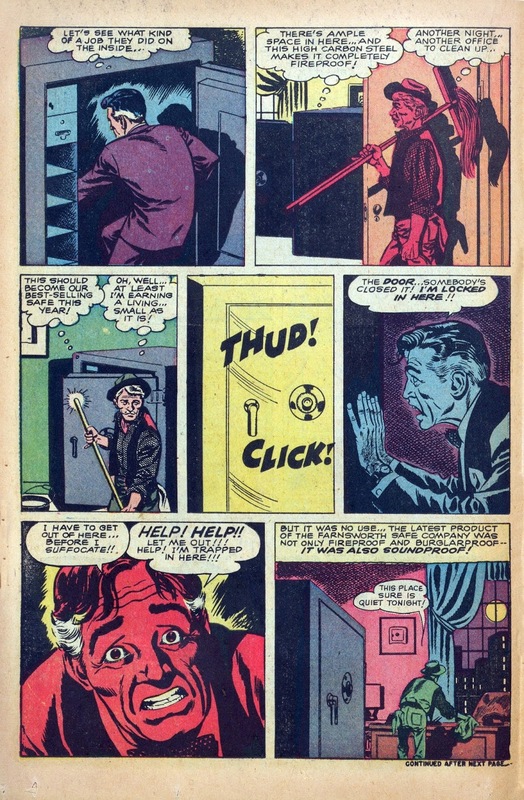 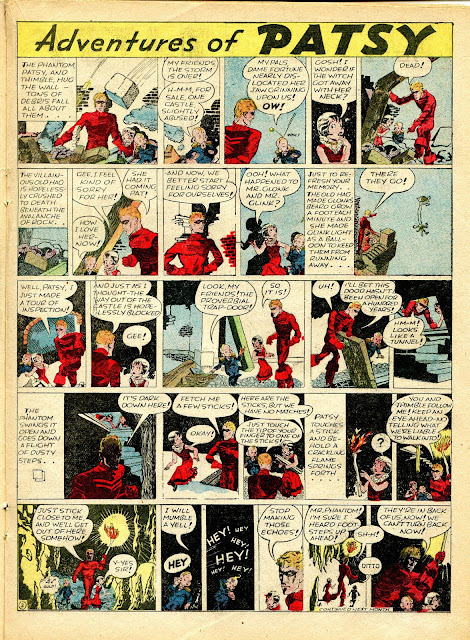 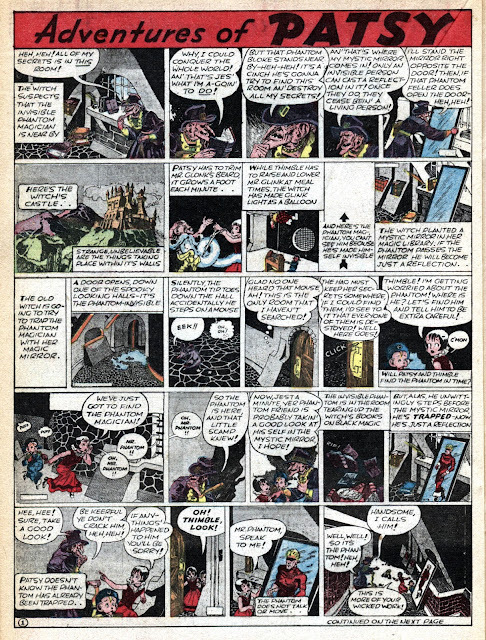 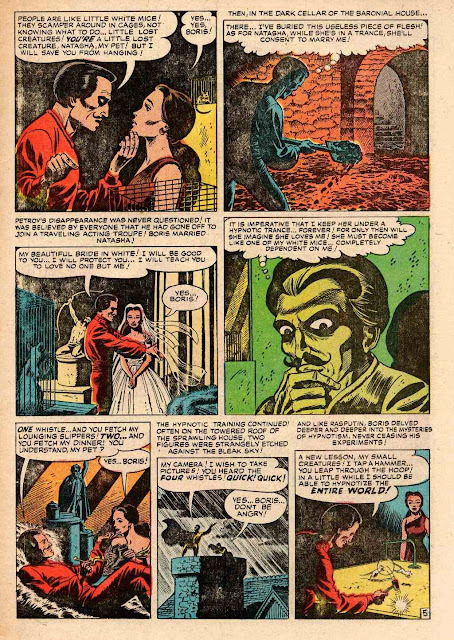 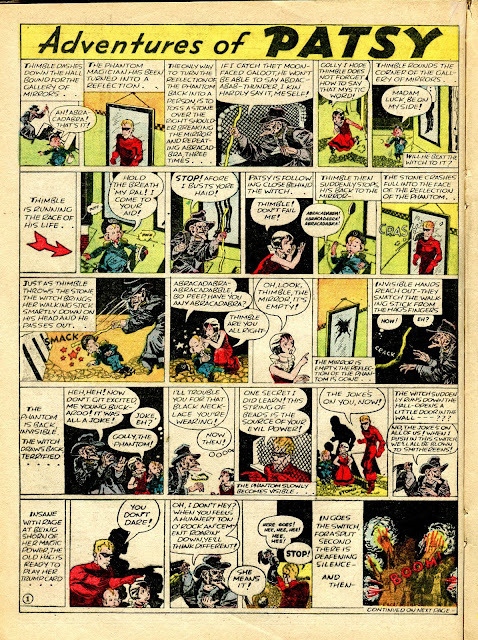 The Phantom Magician premiered in Patsy's strip in the Spring of 1935 and appeared almost daily until August, at which point he finally gets Patsy back home, takes off his mask, and pretends to be her Uncle, never using his magic superpowers again. 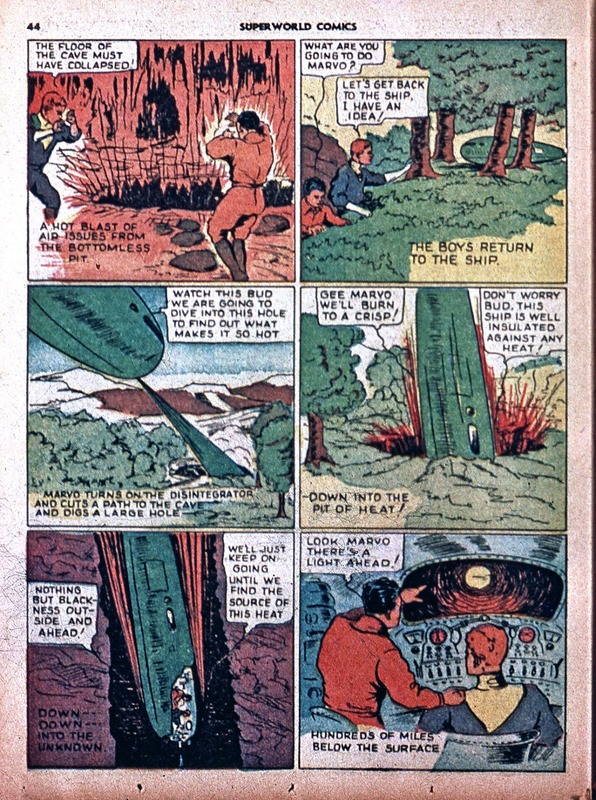 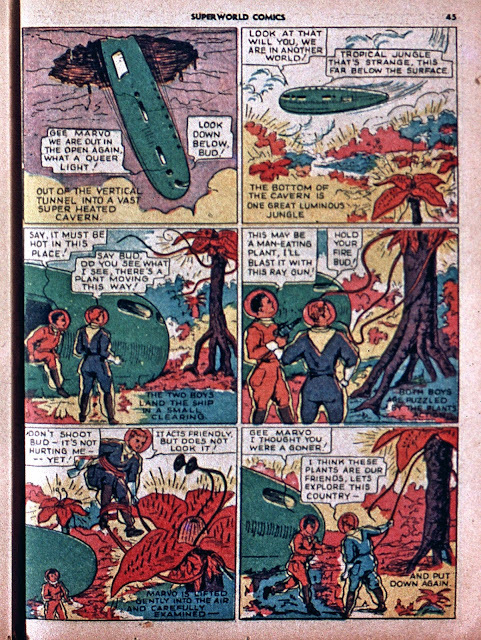 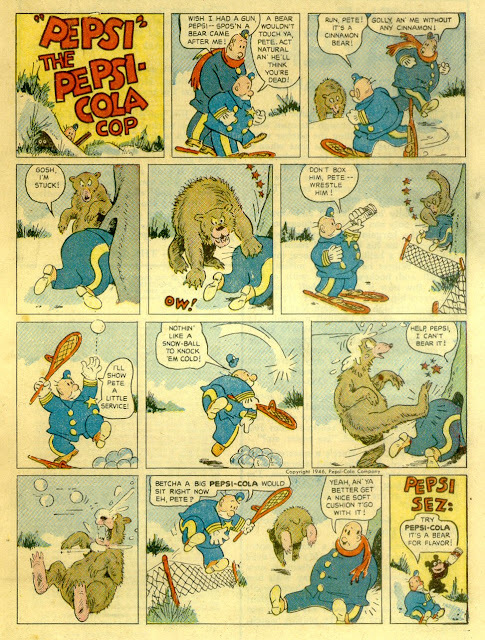 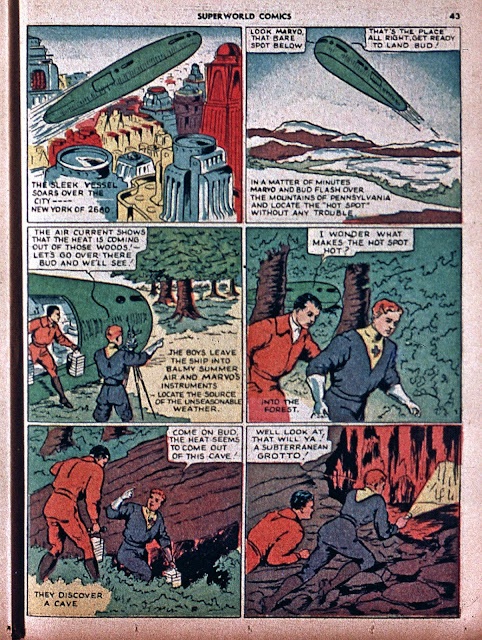 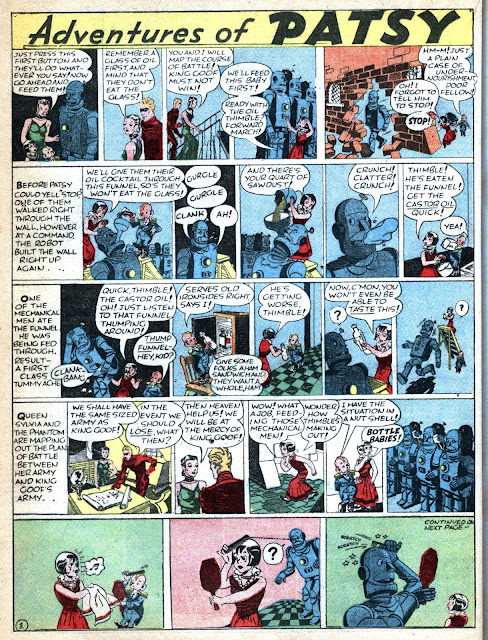 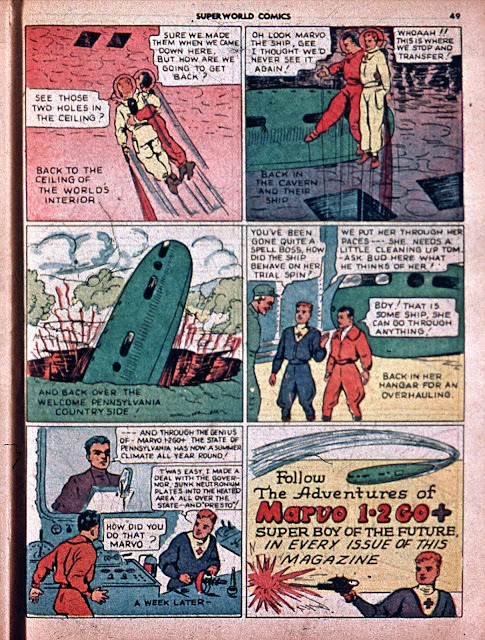 These reprints come from FAMOUS FUNNIES in early 1937, STILL a year before Superman!